Here’s one you don’t hear very often: transportation officials believe a major infrastructure project could cost less than they had previously estimated. The long-debated proposal to link the Red and Blue lines — the only two MBTA subway lines that don’t connect — has received renewed consideration over the past year, after Boston officials said the project could help entice Amazon to bring its new headquarters to East Boston. On Monday, officials said they believe building a connecting tunnel would cost between $200 million and $350 million — depending on the construction method — substantially less than they estimated in 2010. 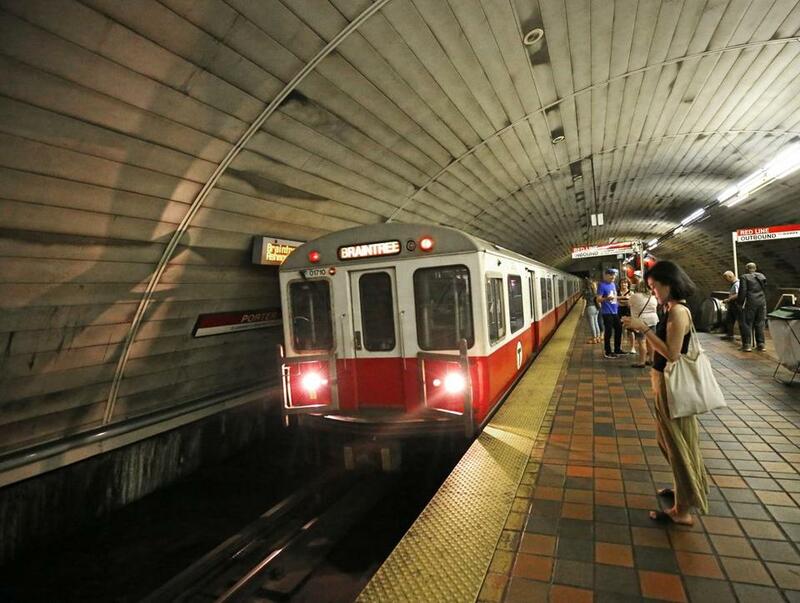 Supporters of the connector say it would make it easier to travel from Logan Airport, East Boston, and Revere — all on the Blue Line — to Red Line stops such as Massachusetts General Hospital and Kendall and Harvard squares in Cambridge. Switching between the two lines now requires a short ride on the Green or Orange lines. The new estimate includes building a 1,500-foot rail tunnel under Cambridge Street from the Bowdoin stop on the Blue Line and new platforms at Charles/MGH station, where the lines would connect. It also includes the cost of moving utilities. It doesn’t include aspects of the project that could increase costs to about $500 million, such as designs, testing, any necessary modifications to vehicles, and finishing touches on the station, like adding elevators. Still, the lower estimate heartened proponents who had been told it would cost far more. The 2010 study found the project would cost about $413 million in current dollars, officials said. Including additional costs like design, and budgeting for inflation and potential cost overruns, the 2010 estimate jumped as high as $748 million. While that estimate assumed the project would be built with an expensive tunnel boring machine, the new analysis includes the option of using the so-called cut and cover method, where workers tear up a street during construction. This method is faster and less expensive than tunnel boring, especially for shorter tunnels, and would cost between $200 million and $250 million. But it would more disruptive to the surface road, said Scott Hamwey, the state’s transit planning director. Keeping the work underground would cost about $350 million, he said. Transportation officials will now decide whether to include the connector in the MBTA’s long-term plan, which includes a list of projects to complete by 2040. In an earlier version of the plan, the Red-Blue connector was considered a more distant goal. The state instead suggested building a pedestrian tunnel between State Street and Downtown Crossing stations to make it easier to switch between the Blue and Red lines. But Joseph Aiello, the chairman of the MBTA’s board of directors, urged the agency to give the rail connection greater consideration. The new estimate is “really huge” for the project’s prospects, said Fred Salvucci, a former state transportation secretary. Salvucci said the connector would help link high-powered economic centers in Cambridge with cheaper housing in Revere. “The access to affordable housing . . . needs to be a major factor,” he said.